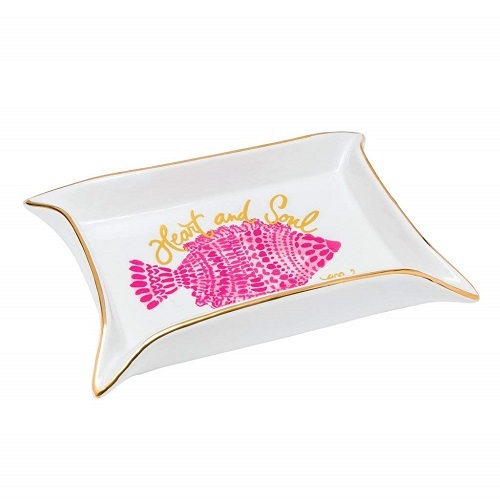 Find cheerful stationery and desk accessories by Lilly Pulitzer to dress up your space. 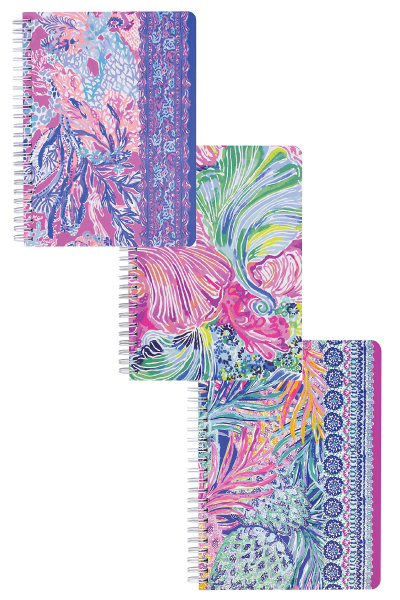 We have brought together a collection of 15 colorful school and office supplies featuring Lilly Pulitzer’s unique style. Use them to brighten up your desk and also your day! 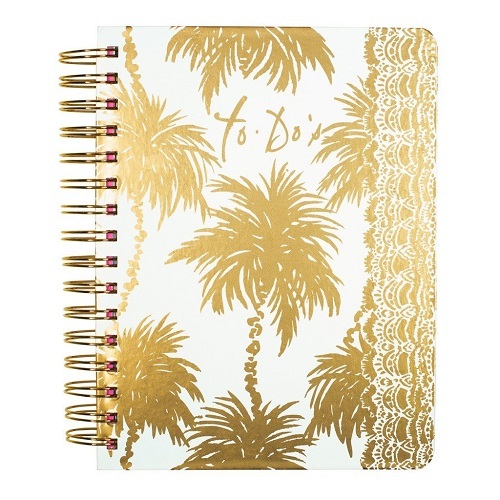 Tackle your to-do tasks one-by-one with this undated hardcover planner. It is completed with sections for your daily schedule, to-do’s, shopping lists, and top priorities. The golden palm cover is really gorgeous. This is a classy office decor to keep your desk away from the mess. It is great for organizing loose papers, documents, and office supplies. 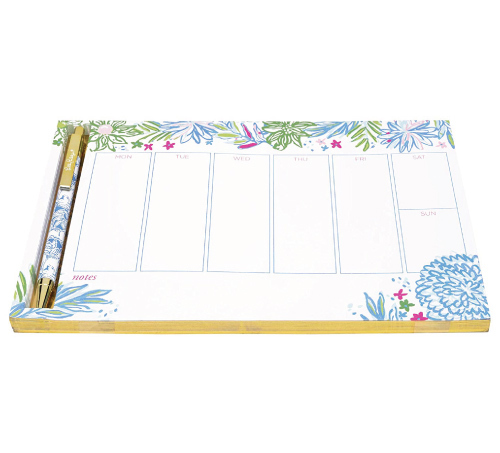 This adorable set will make the stationery addicts and journal lovers happy. 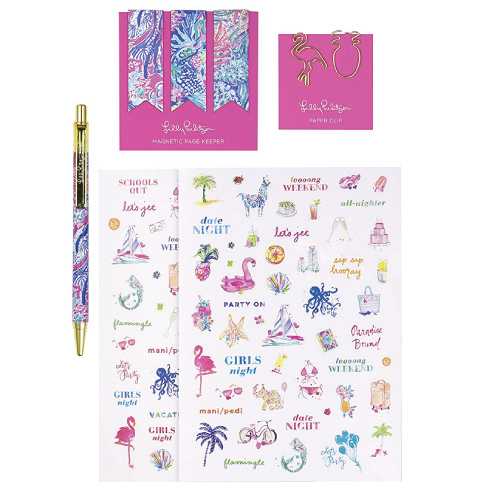 The colorful pouch comes with one Lilly Pulitzer print pen, two sticker sheets, three magnetic page markers, and two tropical-themed paper clips. 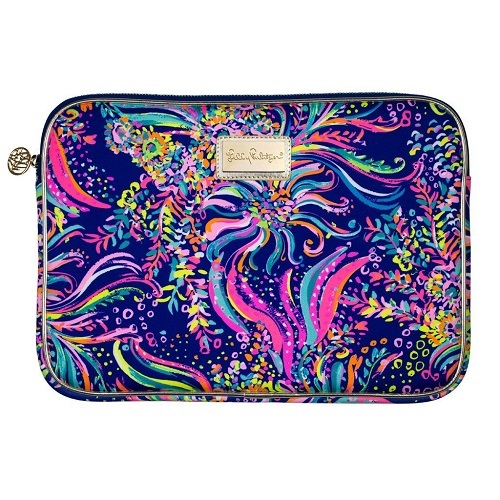 Protect your laptop the stylish way. 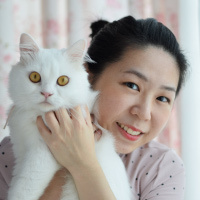 Listen to your favorite music while you work. 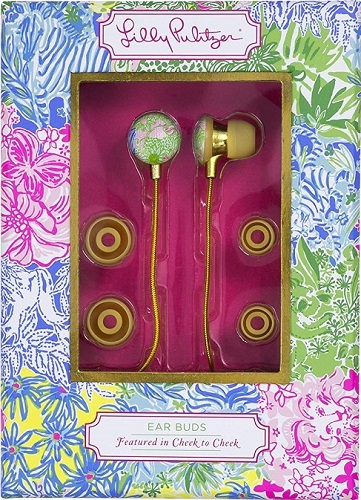 These cute earbuds come with three sizes of earpiece to create the best custom fit. 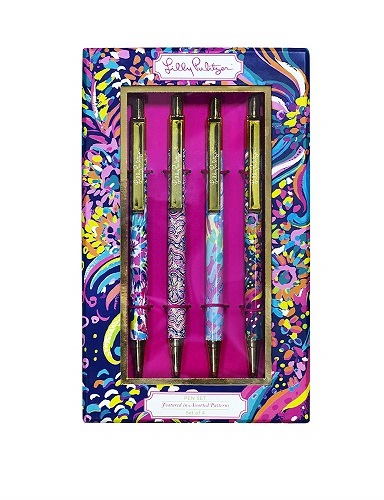 These pens are the must-have Lilly Pulitzer stationery for girls. Features four vibrant designs that each has its own characteristic. This college-ruled notebook is perfect for writing down notes. You can bring it to class, work, meetings, or travel. It is lightweight and fits easily in your backpack. If you prefer a smaller size, get these instead. 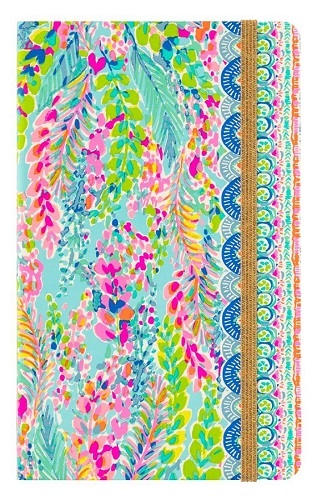 A set of 3 mini notebooks in beautiful Lilly Pulitzer patterns. 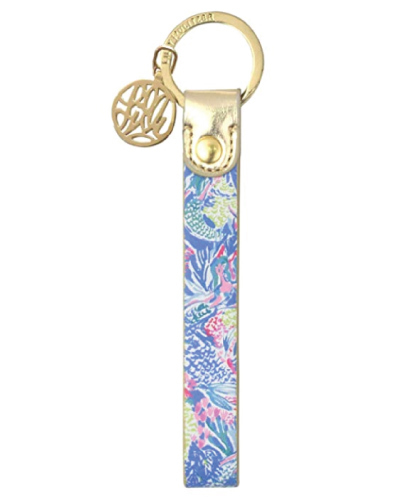 We love the mermaid print and the gold logo charm. 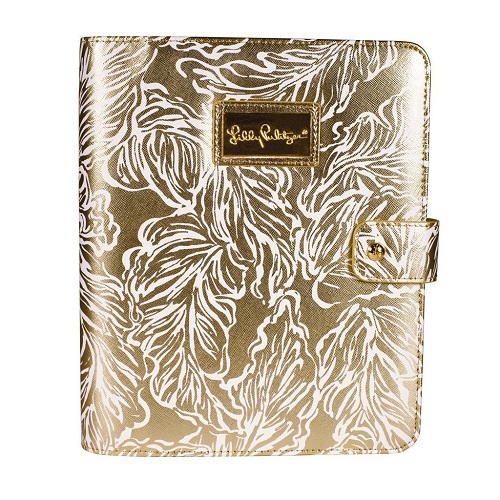 Attend the meetings in style with this leatherette padfolio. The gold leaf pattern looks feminine and tasteful. 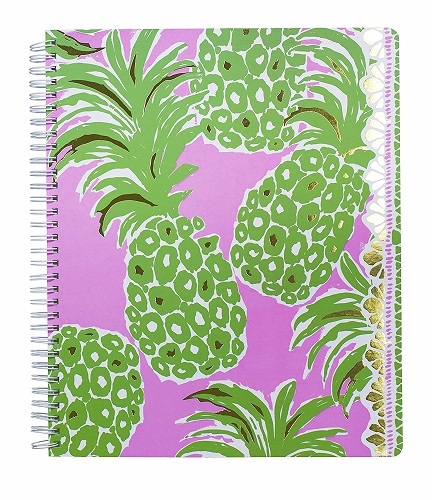 We adore the bright-colored, swirling floral Lilly Pulitzer print of this notebook. 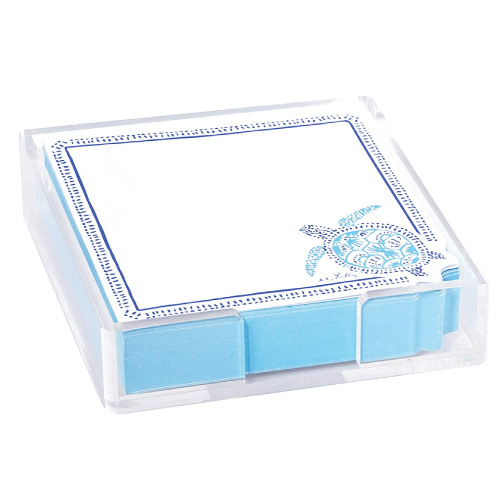 A turtle-y awesome note pad for your desk. A chic desk accessory for students and office dwellers. 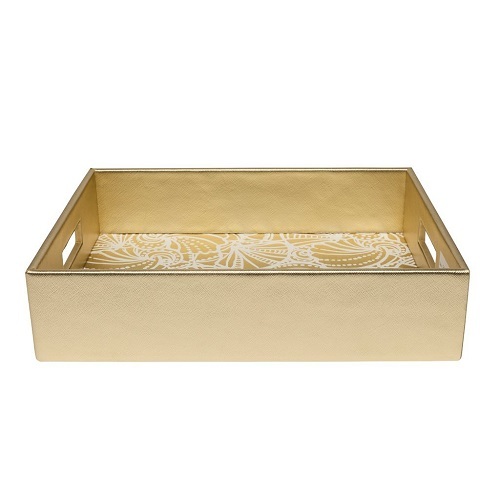 It is the perfect sweet spot to place your stationery, coins, and other small items. 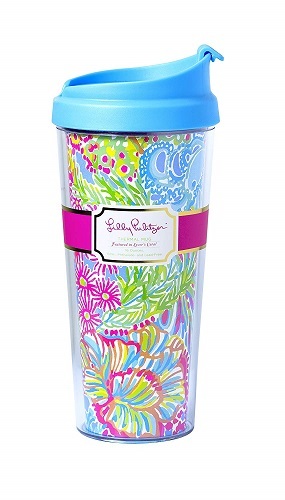 This travel mug is patterned both inside and out, so the more you drink the cuter your mug gets! Place this colorful weekly calendar on your desk. Write down your schedule and keep track of them easily. 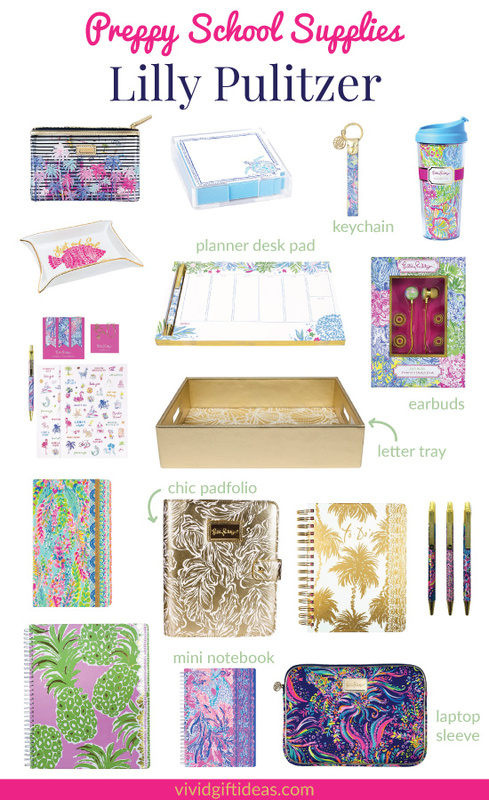 That’s the collection of 15 best Lilly Pulitzer school and office supplies. Thanks for reading. Follow us on Pinterest to see more cute stationery.